As well as providing the property management services we can also offer a fully hands off rental service should you not wish to involve yourself with this side of the property ownership. Let us take care of the hassle factor whilst you just sit back and relax. 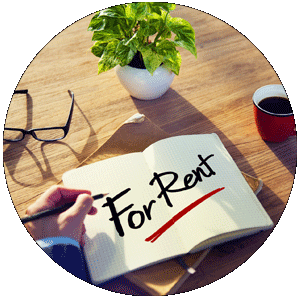 Rental income in most cases goes a long way to covering the expenses of property ownership here in the Algarve. With such a buoyant summer season many owners use this 10 - 12 week period to off set their running expenses for the year, whilst keeping the rest of the year free for personal enjoyment. The rental season in the Algarve is concurrent with the large European school holidays, with July & August offering the peak rental incomes on a weekly basis. Easter, Half terms and Christmas (to a degree) also offer the chance for peak rental rates. All in all these periods can offer an owner up to 20 weeks rental potential. Of course the Algarve is popular for golf year round (except the summer) so there is potential to bolster these weeks with additional income at any time of the year. Although it is unlikely you will rent the property out every week of the 20, a 10 - 15 week rental year would be common for most properties. Of course there is potential to rent for much longer than this, in the case of an investment purchase the rental is the key element to the property and whichever route you decide to take, we�ll be more than happy to help you facilitate and achieve the maximum rental returns possible for your home. If you�d like to get an idea of what potential returns we wold expect from your property please let us know, sometimes it is only possible to give an accurate figure following a on site visit, but we can give some indication of comparable properties in the area to help guide you initially. To register your property under our rental program there is an initial start up fee of �600.00 + IVA. Please request our additional literature on what this includes. Any rentals we generate will also be subject to a 20% + IVA commission. All call out�s and meet and greets will not be charged to the owner for any of our rental bookings, all other service charges such as cleaning and laundry will be charged at the normal rate�s. Under the newly reformed tax regime for income tax on rental properties the simplified tax payment (Category B) scheme is, for most owners, going to be the more beneficial. •et; 85% of net income is automatically deducted as expenses whilst income tax is then paid on the remaining 15%only. This results in an approximate tax rate of 4%. The alternative is Category F Tax (invoices issued by a management company or tour operator in their name) which is paid at a rate of 28%, which is the fixed % for rental income. IVA / VAT is only applicable once rental income exceeds �10,000 at which point it is charged at 6% over the rental amount. If you are already contributing in another country, or receiving benefits such as a pension, owners are eligible for a full exemption. Otherwise the social security payments under Category B will be made after the threshold of �16,768.80 Gross income is exceeded. The rate is 29.6% for self employment income declared in the previous year. Whether you want to make an appointment or just have a chat about renting or buying property in Portugal, then please CONTACT US TODAY!